The FDA’s embrace of precision oncology, along with increases in the number and rate of survival, were highlighted today by the American Society of Clinical Oncology (ASCO) as examples of clinical progress in the fight against cancer. In “Clinical Care Advances 2018,” ASCO cited as its “Advance of the Year” the FDA’s approval in August 2017 of two adoptive cell immunotherapies—the first chimeric antigen receptor T-cell (CAR-T) treatment to win authorization, Novartis’ Kymriah (tisagenlecleucel), and the second, Yescarta™ (axicabtagene ciloleucel), developed by Gilead Sciences’ Kite subsidiary. Kymriah, previously known as CTL019, is indicated for the second-line (or later) treatment of relapsed or refractory (r/r) patients up to age 25 with B-cell acute lymphoblastic leukemia (ALL). The FDA has declared Kymriah the first cancer gene therapy to win agency authorization. “This represents one of the most remarkable advances in the treatment of childhood cancer in the last decade and could dramatically change treatment paradigms for this disease,” ASCO declared. Yescarta won approval in October as the first CAR-T therapy indicated for adults with relapsed or refractory large B-cell lymphoma after two or more lines of systemic therapy, including diffuse large B-cell lymphoma (DLBCL) not otherwise specified, primary mediastinal large B-cell lymphoma (PMBCL), high-grade B-cell lymphoma, and DLBCL arising from follicular lymphoma (transformed follicular lymphoma, or TFL). “CAR T-cell therapy represents an exciting innovation that has the potential to transform cancer care,” ASCO concluded in . It also raises the ongoing issue of cost and reminds us that, as a community, we need to find solutions that will assure that every patient with cancer has access to the care they need. Kymriah and Yescarta are two of 13 new targeted treatments for people with various cancers approved by the FDA in 2017—a year in which the agency approved 46 novel drugs. During the 12 months ending October 2017, the FDA approved 31 new therapies for more than 16 types of cancer, ASCO added. 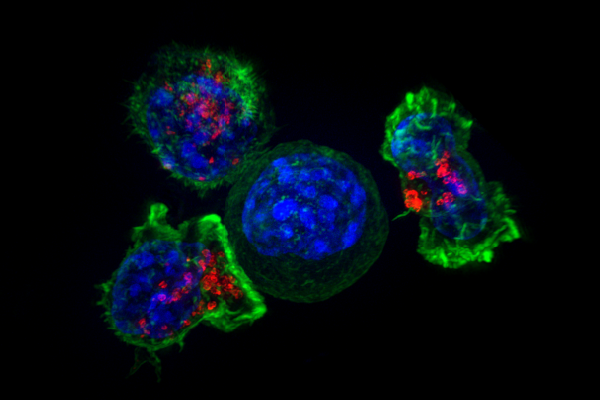 Keytruda won accelerated approval for pediatric and adult patients with unresectable or metastatic microsatellite instability-high (MSI-H) or mismatch repair solid tumors that have progressed following prior treatment and for which there is no suitable alternative therapy and colorectal cancer that has progressed following therapy with fluoropyrimidine, oxaliplatin, and irinotecan. More significant, as the FDA noted at the time, the Keytruda additional approval was granted based on tumor response rates and durability of response, with continued approval to depend upon data from confirmatory trials. In July, the FDA cited the Keytruda approval as well as its approval of a new indication for Vertex Pharmaceuticals’ cystic fibrosis treatment Kalydeco® (ivacaftor) as underscoring what it called a commitment to precision medicine treatments. Kalydeco won additional approval for people with cystic fibrosis ages 2 and older who have one of 23 residual function mutations in the cystic fibrosis transmembrane conductance regulator (CFTR) gene. That approval was based on analyses of in vitro data and supported by more than five years of clinical data, Vertex said at the time. The FDA said it would further carry out that commitment by expanding master protocols, case studies, and biomarker qualification standards. ASCO said another promising precision oncology treatment is Loxo Oncology’s lead candidate larotrectinib (LOXO-101), an oral, potent, and selective inhibitor of tropomyosin receptor kinases (TRK) developed through a discovery and development partnership with Array BioPharma. Larotrectinib is under study in the Phase II Basket trial, now enrolling adults and adolescents who have solid tumors with TRK fusions; as well as the Phase II NCI-MATCH (Molecular Analysis for Therapy Choice) trial, a precision medicine cancer treatment clinical study with 18 treatment arms currently open to patients. Cancer survival—More than 15 million Americans have had or are living with cancer. That number of survivors is expected to grow to 26 million by 2040, with 73% of them 65 years of age or older. Also, approximately 64% of US patients diagnosed with cancer in 2005 have lived 10 years or more beyond diagnosis, up from 35% for those diagnosed in 1975. TAPUR study—ASCO’s Targeted Agent and Profiling Utilization Registry (TAPUR) Study grew to more than 495 participants enrolled on a study drug at more than 83 sites in 18 states, each offering 17 different targeted therapy options provided by the seven participating pharmaceutical companies—AstraZeneca, Bayer, Bristol-Myers Squibb, Eli Lilly and Company, Genentech, Merck, and Pfizer. Clinical Care Advances, ASCO’s 13th annual report on progress against cancer, is also published in the Journal of Clinical Oncology.